Below is mainly personal YV writes about his own experiences! If you are one of the boxers mentioned on this website or anyone with further information, please contact Young Victor. Young Victor offers all boxing connections whether be media or sports writers to be involved in this website. Everyone is welcome to contact me and make suggestions from the "contact" link at the top of this page. TRIBUTES to very memorable friends. Snowy Sullivan - RIP (William Peter "Snowy" Sullivan) Young Victor says - My trainer was very larrikin like with cheeky blue eyes and liked his drink, he had a very nice family, very clean, well kept and held his job, he was a forklift driver at the government printing office in North Melbourne for a long time where nobody seemed to know he was associated with boxing, he always kept his family very private from his boxing life. At about the time when I went to Laurie Schwind to train for my last fight, Snowy had told the Stadium promoters I was having "feints" in the gym. ( whatever feints were, according to Ambrose Palmer whom told me personally ) This was totally untrue and I suspect he made it up as he was personally fond of me, and did not want me to go on with boxing in case of getting seriously hurt. He had indicated to me that although I did not have many fights, the ones I had were very hard. This also explains why my last fight was in the country ( Benalla ) and not at the stadium. God Bless you Snowy because we were good friends and I always knew we had a soft spot within us for one another and I stuck by him. But I loved the man, there was something about Snowy, I was begged to leave him and get what they called a proper trainer but keeping in mind what I did after boxing it was for the better. George Edwards - RIP - usher at the Stadium attended to opening, timekeeping and closing Snowy's gym. We arrived in many wet and cold winter training sessions by ourselves, no sparring partners, George always showed up. This is when I truly became a fighter, I was previously ringshy and finally discovered I could punch hard. 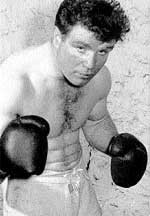 He introduced rock and roll music while training in Snowy Sullivan's gym. Hope you are well Johnny - I wish you all the best anyone can get. 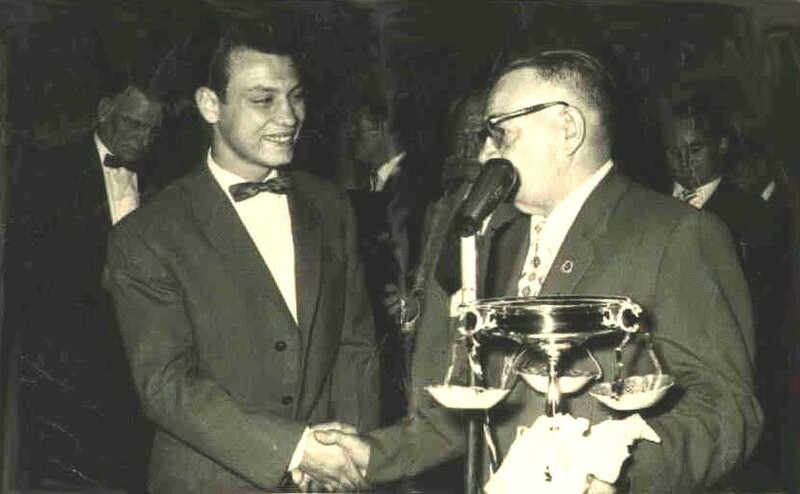 My boxing experiences with you led me to achieve the PPBA most improved fighter of the year during 1960. I was his main sparring partner and he was mine. What I learned from Johnny was how to combine fighting with boxing. I have recently been contacted by his nephew Colin Johnson and he told me that Johnny was his uncle and that Johnny is still alive and happily spends his time at the pub from 11: 00am every day which is common in the UK as its a social thing. I have placed this movie so Johnny can see himself fighting a very loved by me and fans alike Aussie champion George Bracken. About this website: This website went on line 25th Jan 2002 as Young Victor (then a personal site) it quickly developed into a full blown boxing site. "Young Victor Boxing" first registered - 8th Dec 2004 as a Boxing website following into a Boxing News & Media site. This website allows anything to be copied as Young Victor is of the opinion that Boxing benefits from other boxing enthusiasts using what they need which in turn helps boxing remain the gallant sport it has always been, the only condition is that anything copied is used sensibly and not offensive to anyone. PLEASE NOTE: Photos that belong to other professional photographers are marked as such and must not be copied. In Boxing Young Victor usually uses old time "fighters lingo" phrases and remarks with seemingly little care for spelling. Lynette a major contributor by staying fast behind the editor of the site. I think I am the oldest boxer from the past retired 1963 that contributes a little to our game of boxing on the internet. Young Victor 1958-1963 briefly introduced to boxing by Snowy Coates, later managed & trained by Snowy Sullivan his fights were 1958 / 63 mainly at West Melbourne Stadium in Australia renamed Festival Hall. Retired just after turning 22 years of age and went on with an interesting life of challenges some with successes and failures most of which you can read about from the link My Memories just below. Young Victor was a committee member of the Australian Boxing Federation Vic. Inc. [ABF] & member - ANBF, he is a member of the PPBA, Known as the Past & Present Boxers Assoc. & VBTL Victorian Boxers & Trainers League. Now Vice President of the ANBHOF (Australian National Boxing Hall of Fame). This grey area is mainly about Young Victor during my very naive period. To return to this page from anywhere in here click HOME . This section is intended mainly for my friends and family members who are sprawled worldwide and live in the United States, United Kingdom, Australia and Malta. YV's boxing with other experiences and Memories In YV's days there were only about 7 trophies to be won by pro boxers Most outstanding was the first Most improved was second. In the same year of 1960 George Bracken won the Most Outstanding. In the Underbelly series Young Victor was the fighter Les Kane boxed with in Snowy's gym with his brother Brian Kane watching, he was very inexperienced and didn't know much about ring fighting and didn't go on in the game at all.